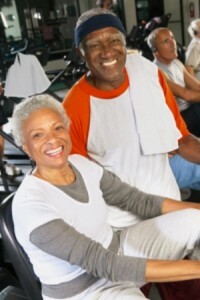 In the Charlotte area, there are resources out there that can be quite useful when you have attained senior citizen status. As you are planning ahead for retirement, you should have a thorough understanding of government health insurance programs for seniors. Two programs that can be relevant to senior citizens are Medicare and Medicaid. These government programs both provide health insurance. However, there are significant differences between them. Medicaid is a need-based program, and Medicare is not. As a result, there are asset limits that you must stay within if you want to qualify for Medicaid. You can qualify for Medicare regardless of the extent of your wealth. Medicare is available to people who have paid into the program throughout their lives while earning income. When you are taxed, part of what you are paying goes toward retirement benefits. Along the way, you earn retirement benefit credits. If you earn at least 40 credits you are eligible for Medicare and Social Security. Under currently existing laws, you can accumulate a maximum of four credits each year. In 2016, you would be awarded the maximum four credits if you earn at least $5040. To qualify for Medicaid, you must have countable assets that do not exceed $2000 in total value. However, everything that you have is not going to be counted when program administrators are determining your eligibility status. Your home would not count if you were to attempt to obtain Medicaid eligibility (although beware of Medicaid estate recovery). A caveat to this would be the fact that there is an equity limit that stands at $552,000 in North Carolina in 2016. If you are married and your spouse is going to remain in the home, the equity limit would not apply. The value of your household items and personal effects would not be counted. Your wedding and engagement rings and heirloom jewelry would not be counted either. Medicaid is a program that is potentially available to people of all ages. Medicare is a government health insurance program for senior citizens. If you have enough credits to qualify, you become eligible for Medicare coverage when you celebrate your 65th birthday. Medicare will help with many of your health related expenses when you become eligible for the program. However, it will not pay for an extended stay in a nursing home or assisted living community because the program does not pay for custodial care. Medicaid will help with long-term care costs assuming you can qualify for the program. The fact that Medicare doesn’t pay for long-term care has serious implications for a significant percentage of American senior citizens. 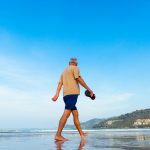 According to the United States Department of Health and Human Services, most seniors will eventually need assistance with their day-to-day needs. Under some circumstances, living assistance can be provided by family members and friends while the individual who needs help remains at home. However, nursing home care can be the only option for many seniors. 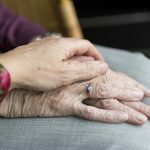 A year in a nursing home could cost $100,000 or more — North Carolina estimates that the average for a shared room is more than $70,000 — and extended stays are not uncommon. A lot of people simply do not have this kind of money when they are passing through their twilight years. For others it may be possible, but exorbitant long-term care bills could wipe out the inheritances that they always intended to leave to their loved ones. Because of the fact that Medicare will not pay for long-term care, many senior citizens who need living assistance ultimately apply for Medicaid coverage. It takes careful planning to qualify at the right time because of the asset limits that we touched upon previously. The state of North Carolina is very concerned about the well-being of the senior population. If you would like to obtain information about long-term care and other matters that are of interest to seniors, there is a website that you should visit. The North Carolina Department of Health and Human Services Aging and Adult Services Division is there to provide assistance. You can explore the resources that are available to you if you click this link: North Carolina DHHS: Aging and Adult Services. If you are concerned about long-term care costs, you are not alone. Call us at (704) 944-3245 or send us a message through our contact page if you would like to discuss the matter with a licensed elder law attorney.